Gather up the ingredients. 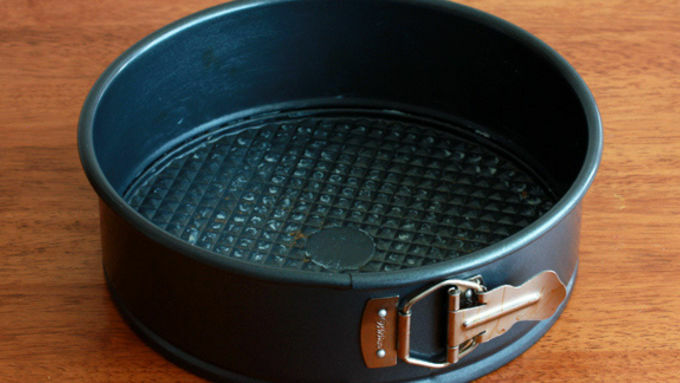 Grease a 9-inch springform. Preheat the oven to 400°F. 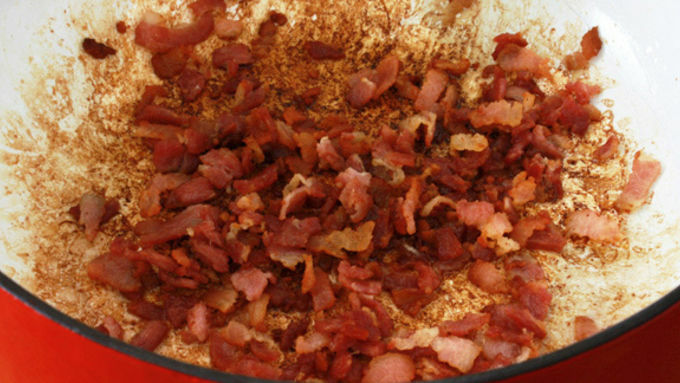 In a Dutch oven or heavy skillet over medium-high heat fry the bacon until crispy. 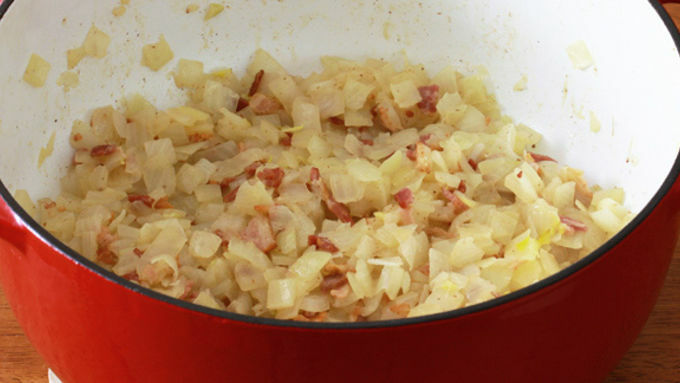 Add the onions and butter and cook them for about 25-30 minutes until light golden brown. Remove from heat and let the mixture cool. 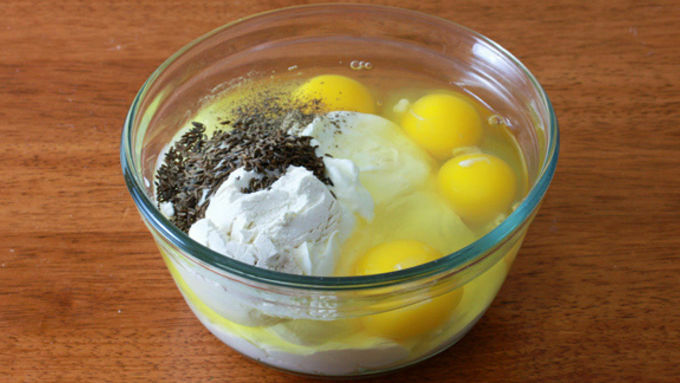 Combine all remaining filling ingredients in a medium bowl and stir well to combine. 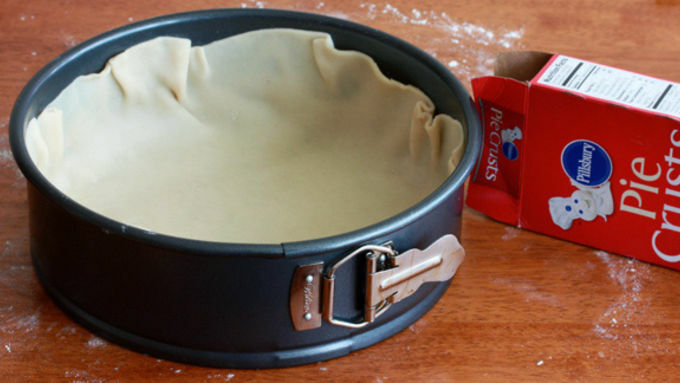 On a lightly floured surface, gently roll out one of the refrigerated pie crusts just enough to extend it by an inch or so in diameter. Lay the pie crust into the springform, lightly pressing it do the bottom and sides, leaving about an inch border from the top of the pan. Add the onion mixture to the filling mixture and stir until combined. Pour the filling into the springform and sprinkle a few caraway seeds on top. Bake for 50-55 minutes or until the Zwiebelkuchen is golden brown on top and the filling is firm when pressed in the center. Best served warm. Also excellent reheated the next day. 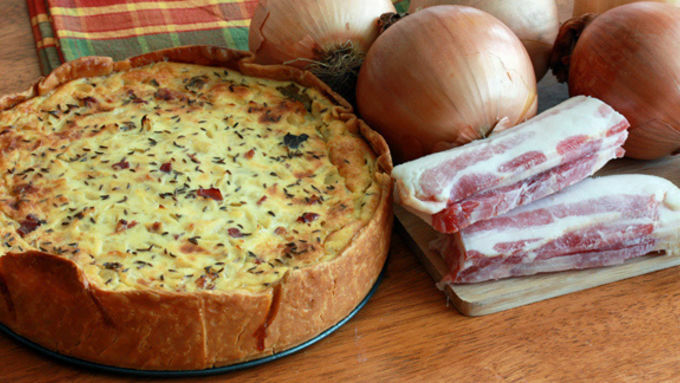 I grew up in Southern Germany and the onset of cool weather always meant Zwiebelkuchen, a beloved savory onion and bacon quiche/pie that can be found in bakeries there. It's something I looked forward to every year and is still one of my favorite savory baked goods. A favorite pastime is going to the Black Forest, not far from where I lived, and enjoying a slice of Schwäbischer Zwiebelkuchen at a cafe, made with delicious local bacon. There are a few varieties of Zwiebelkuchen, depending on the region of Germany. 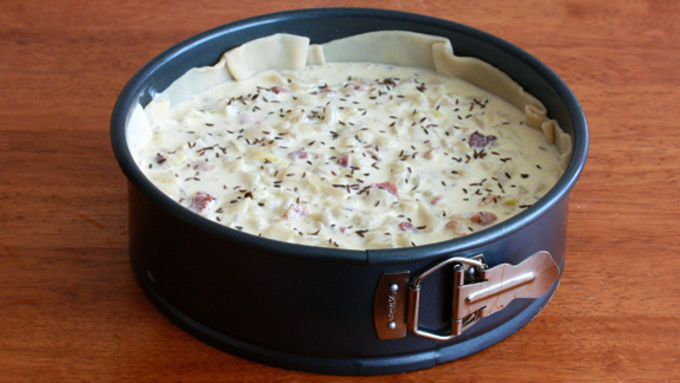 Some are flat like a pizza and cut into squares with a thin layer on top and others are more "deep dish", like this recipe. I grew up in Stuttgart, home of Porsche and Mercedes, as well as the capital of Swabia, the region of Germany where this version of Zwiebelkuchen is from. Swabia is arguably the home to the best German cuisine, and this onion and bacon pie is no exception. 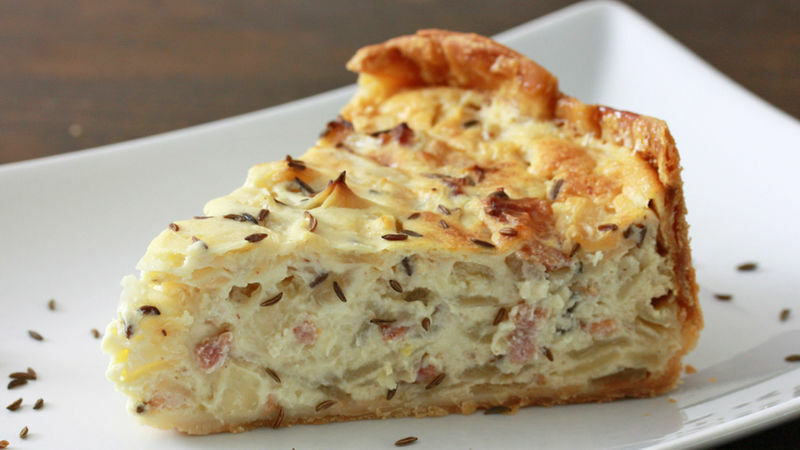 If you're a fan of caramelized onions and bacon, this quiche is for you! Very easy to make and quick to assemble, your home will soon be filled with an aroma so divine you'll be waiting eagerly at the oven door. And your neighbors might be dropping by unannounced, so you'd better pop two of these in the oven! This is best served warm, but it's also excellent reheated the next day!